Can Americans Play Online Lottery? If you live in the United States, you are probably well aware of the fact that Americans cannot purchase their lottery tickets online. American’s like to think we are ahead of the times, or at least on par, with the rest of the world when it comes to technology and innovation. Well… Sadly, we are not. Only recently have we been able to purchase tickets online—that is, if you live in one of the eight states that allow online gambling. Who would have thought that the government could see into the future! The US government can because in 1961 (before the Internet was first used in 1969), the Wire Act was created. This act prohibits any online gambling, although the wording used in the legislature describes sports betting. Because of the ambiguous wordage, states were under the impression they could not conduct in-state lottery transactions through the internet due to the possibilities of the information crossing state lines. Because of this, New York believed the Justice Department might go after New York’s Lottery if the information regarding the tickets that were sold online to New York residents crossed state lines, even for a second. At the time, New York was experiencing economic woes, and they decided to question the Justice Department’s decision on the matter. In 2009, the New York Lottery and the Illinois governor’s office asked the Justice Department to clarify the stipulations regarding the Wire Act. To make a long story short, the Wire Act did mean sports betting only and lottery betting was okay. In 2012, Illinois was the first state to allow the sale of lottery tickets online, and they will not be the last. At the time, there was at least 21 states plus Washington, DC, which was considering allowing online ticket sales as well as other gambling games like poker and online casinos. Today, numerous states are allowing their residents to purchase lottery tickets online. Some of these states include New York, Pennsylvania, Georgia, Michigan and more. Although many states realize how much revenue can be made from the online purchases of lottery tickets, there are still some states that are a little slow when it comes to adopting the practices. Colorado enacted a bill that banned the sale of online tickets and a few states who are on the fence. Minnesota legislature wanted to pass a bill to prohibit the online sale of lottery tickets; however, the Governor vetoed the bill. One has to wonder if it is bipartisanship that sways these votes. It is hard to say where the stance of online lottery purchases will be in the future. While many states are looking at the possibility, some remain reluctant. It would be foolish not to pursue this venture because studies show that by allowing online ticket purchases, there is a considerable profit. For instance, Georgia has since expanded the games offered, and they have since generated $6.6 million in sales. All the states who do not want to allow online lottery sales have to do are look at the financial records of those states that do allow ticket sales. The proof is there in black and white that online ticket sales are a lucrative option for the state. With any luck, 2015 will bring more states jumping on the online lottery bandwagon, thus bringing in more money and making it easier to get that winning ticket. Hello…..why is the model of concierge buying not mentioned in the article. 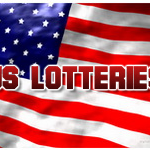 Does not it allow the US residents and citizen to play all the US lotteries? The Wonderful World of International Lotteries: Can Americans Play through Online Lottery Agents? Where Do Online Lottery Providers Come From?